Leading Tampa personal injury attorney Chris Limberopoulos has been honored with inclusion in the prestigious 2016 Super Lawyers® list. The Florida Law Group is happy to announce that Attorney Chris Limberopoulos has been selected for inclusion in the 2016 Super Lawyers® list. This is the fourth time he has earned this prestigious achievement, having been included in the lists for 2009, 2014, 2015, and 2016. Mr. Limberopoulos has been recognized for his outstanding advocacy in the areas of Personal Injury – Medical Malpractice: Plaintiff, Social Security Disability, and Workers’ Compensation. Selection to Super Lawyers is reserved for only the top attorneys in each practice area of the legal profession. Using a patented selection process, the Super Lawyers® selection committee considers peer-nominated candidates based on a number of factors, including experience, education, honors and awards, verdicts and settlements, special licenses and certifications, position within law firm, pro bono and community service, bar and professional activity, and more. Those attorneys who receive the highest scores are then evaluated by a blue ribbon panel in their practice area. 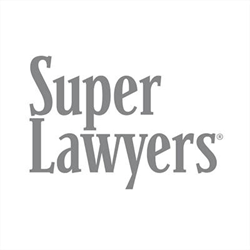 Only five percent of attorneys are selected to Super Lawyers®. Mr. Limberopoulos has been practicing law since 1982. As a Board Certified Civil Trial Specialist, his experience and skill places him among the top one percent of practicing attorneys. Other indicators of his legal knowledge and solid track record include a perfect 10.0 Avvo Rating, an AV®Preeminent™ Rating by Martindale-Hubbell®, and a recognition by the Hillsborough County Bar Association for Outstanding Pro Bono Service. Mr. Limberopoulos is fully committed to protecting the rights of his clients and pursuing maximum results in each case he handles. To get in touch with Attorney Chris Limberopoulos or another member of the top-rated legal team at The Florida Law Group, please call (813) 513-9537. The Florida Law Group is a leading personal injury and medical malpractice law firm led by Board Certified Civil Trial Specialist Chris Limberopoulos. The firm has successfully recovered hundreds of millions of dollars for clients injured in auto accidents, construction accidents, slip and fall accidents, and other types of accidents, as well as medical negligence, nursing home abuse, and more. To see the full range of cases the firm handles and schedule a free consultation, please visit http://www.thefloridalawgroup.com.